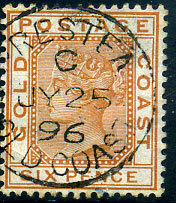 on 1873 QV 3d orange-buff CC wmk (SG.5, Cat.£65). Ex Geoff Osborn. 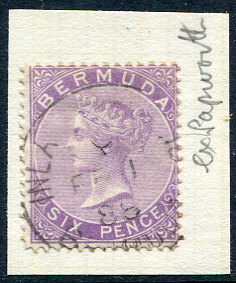 (6½mm high) on full perfs. 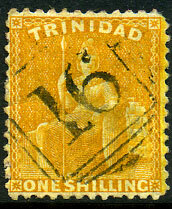 1873 QV 3d yellow-buff (SG.5). 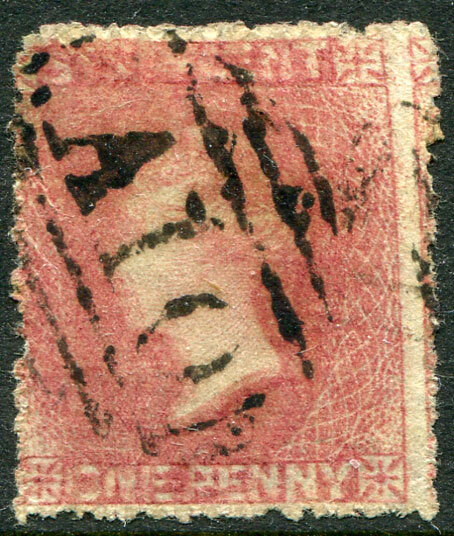 (6mm high) on 1865 QV 1d pale rose CC wmk (SG.2), small faults. 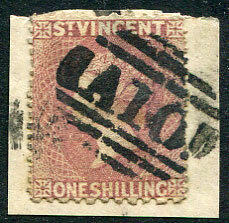 (T.2) C/OC 4 94 on QV 3d (SG.15a), thinned top right corner area (ex John Forrest). 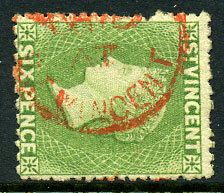 on QV 4d orange-red CC wmk (SG.20). 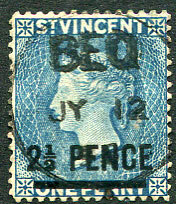 on 1866 QV 2d dull blue CC wmk (SG.3), defective top right corner, extremely rare on this issue. 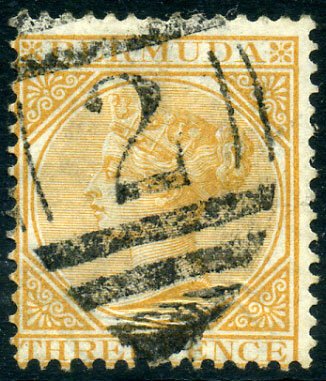 on 1873 QV 3d yellow-buff CC wmk P.14 (SG.5). 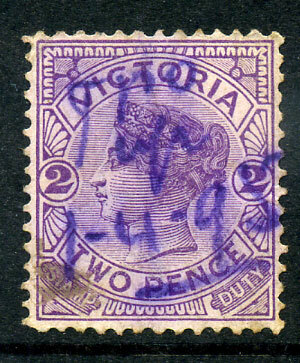 (T.5) dated C/JY 25 96 on QV 6d (SG.17a), 1mm tear at middle base (ex John Forrest). 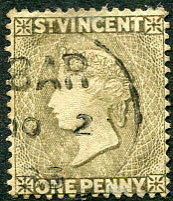 (T.21) on QV ½pi (SG.40), corner fault and reverse perf. toning. Ex John FORREST (2010). 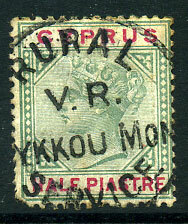 (Type 0.2) on 1872 1/- (SG.74). Ex RAMKISSOON.